We all know Assam as the tea capital of India. But do you know this beautiful state has a lot more in store to be explored? Hills to gardens, lakes to forests, valleys to farmlands and national parks to historical sites, Assam houses thousands of tourist sites and all these sites are worth visiting on account of their unexplored corners. Would you like to plan a tour of such unexplored place? If yes, then put Nameri National Park on your bucket list. This gorgeous extent of nature will certainly let you feel the actual charm of Assam. Read on to know in detail about its location, surroundings and how to reach it. As the region in and around Nameri National Park experiences a moderate type of climate throughout the year, it is a year-round destination. However, if you still desire to avoid the summer heat of Nameri National Park, then the best time to visit is from September until the end of March. Located in the foothills of the Himalayas in the vicinity of Chariduar village, Nameri National Park was established in the year 1978 and is spread over an area of about 200 sq km. 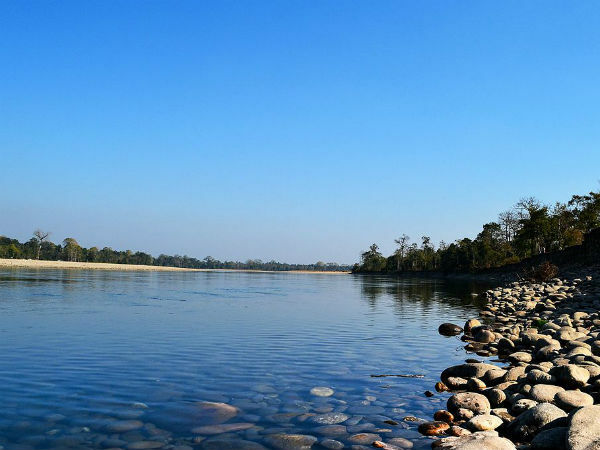 Covered with deciduous forests and blessed with lush green grasslands, this beautiful national park is one of the few tourist places in Assam where you can savour the beauty of pristine and stainless nature. As it houses more than 500 species of plants and animals, it is a perfect place for nature lovers and photographers. The major plant species found here include white teak, hollock and nahor, and animals species include wild boar, sloth bear, leopard cat and gaur. The national park is also home to more than 300 species of birds, which include ibisbill and plovers. Be it bird-watchers, nature lovers, photographers and campers, Nameri National Park astonishes each and every type of visitor, such is its natural beauty. From enjoying wildlife safari to savouring the eco camp and going on an expedition of spotting rare species to lazing by beautiful relaxing streams, there is a lot to do here. The major reason why one must plan a trip to this mesmerising national park lies in its hidden beauty which certainly deserves to be explored. So, if you are looking for a place where no human can disturb you and calm nature lets you feel the beauty of silence, then Nameri National Park is your destination. By Air: The nearest domestic airport from the national park is located in Tezpur at a distance of about 40 km. Once you have reached the airport, you can hire a direct cab to Nameri National Park. You can also take a direct flight to Guwahati international airport and then from there, you can either hire a cab or catch a bus to Tezpur. From Tezpur, it is advisable to take a direct cab to the national park. The distance between Guwahati and Tezpur is 170 km. By Rail: The best way to reach Nameri National Park by road is to catch a train to Dekargaon railway station and then from there, a cab to the national park. The distance between the station and the park is 35 km. By Road: Nameri National Park has a good road connectivity and hence, it can be easily accessed by a bus or a cab.